You are here: Home / Blog / What Are Some Good Left Handed Knives? For people who are left handed, living in a predominantly right handed world can occasionally be a challenge. Things those of us who are right handed take for granted are areas of challenge at times, as products are designed for the majority. 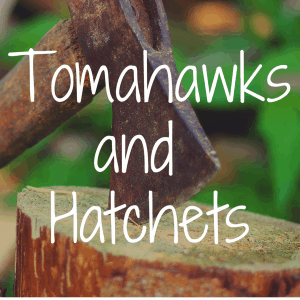 In this article, we will showcase a variety of different knives that would be great for our left-handed brothers and sisters across the country. While this may not be something that everyone concerns themselves with when it comes to purchasing a knife, for the ten percent of the population that is left handed, this article is dedicated to you. Why Do People Need Left Handed Knives? Knife makers need to make a more conscious effort to make all knives accessible to both right and left handed users, as utilizing a knife that is designed for a right handed person–particularly if it folds–can be quite difficult to do safely for a left handed person. A lot of folding pocket knives with single-sided liner locks will be impossible to open “backwards,” and to close the knife comfortably would require putting fingers in the path of the blade which should never happen. Kitchen knives on the whole are generally made to be ambidextrous, meaning they can be used comfortably by either left or right handed users. This is primarily because in the kitchen you occasionally need to handle two knives at once, or you need to use your off hand to cut while your dominant hand is otherwise occupied. Some knives, however, are made for only right or left handed users, as they have a single bevel or a double bevel that has a shallow grind on one side. This is particularly true of Japanese knives and can be resolved in a lot of cases by either changing the bevel to a 50/50 so it can be used by either hand, or moving the bevel to the other side using a whetstone. If your experience with using a whetstone is limited, or if you have any reservations in doing this, it is important to contact a professional knife sharpener who is experienced with the type of knife you are wanting sharpened so the blade is not damaged in the process. Pocket knives are one type of knife that is becoming Southpaw friendly very quickly. Many of these knives feature clips that can be moved to change how the knife is carried, usually between top and bottom of either side. 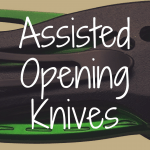 They also generally feature locking mechanisms, which can be unlocked from either side of the blade to allow safe deployment as well as a safe closing. 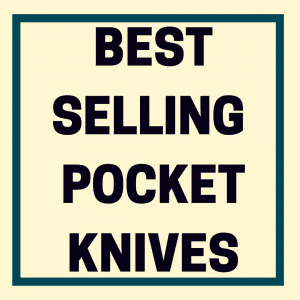 Major brands such as Spyderco, Benchmade, Cold Steel and Boker all feature ambidextrous pocket knives to cater to the entire population instead of just a portion of the market. Tactical knives are another type of knife which is that embracing the left handed knives. These knives, both folding and fixed-blade knives, require the user to be able to have an exceptional grip on the knife regardless of weather, location or duty. 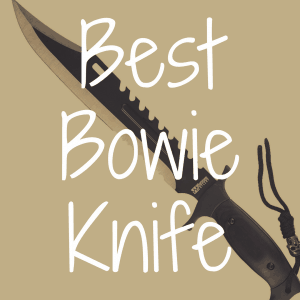 Due to this, most knives in this category are ambidextrous but a few are still set on being right or left handed. Therefore, most knife manufacturers will customize the knives for left handed users. Often, the knife itself may be ambidextrous in the case of a fixed-blade knife, yet the sheath is left or right handed. In these cases, there is often a right or left option for a sheath to enable a safe, quick and easy draw. Below, check out a list of knives that left-handers in particular will like. The CRKT M16-13SFGL is an incredibly durable tactical knife that was created by Columbia River Knife and Tool’s collaboration with retired Master Sergeant and renowned knife maker Kit Carson. The goal was to create a MIL-SPEC quality blade, which folded but had a proper hilt. The challenge was achieved through the use of two Carson flippers. These flippers are loved by knife enthusiasts everywhere but take some time to become accustomed to at first. This knife features a combo edge tanto in 8Cr14MoV steel, which has been coated to protect the blade from the elements and to give the entire knife a non-reflective surface. This knife is designed specifically for left hand users and there is a right handed version as well, the M16-13SFGL. While this blade could be used by a person with either hand, it is designed to be used by those with a dominant left hand for complete comfort and control. 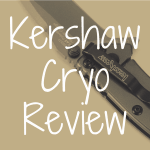 The Kershaw CQC-8K is a medium sized tactical knife made by Kershaw and designed by the famous knife maker Emerson. This knife is designed to be used by either left or right handed people alike. This knife is designed to be opened while coming out of the pocket as opposed to deploying once fully out of the pocket. This saves time in an emergency situation and makes it highly sought after by the men and women who serve and protect at home and abroad. The blade itself is a single-bevel tanto blade made with 8Cr14MoV, which is coated in black-oxide to prevent corrosion. This blade is a full 3.5 inches and the overall knife length is 8.1 inches and weighs 5.4 ounces, making this a larger pocket knife and may be better placed on the belt. While most pocket blades now have an assisted open, this one is a manual open and relies on the user to open it completely. This aspect gives the user extra control. The other unique feature this knife has is a tab on the spine which is designed to catch on the user’s pocket seam causing the knife to open as it is being withdrawn. 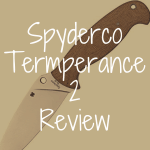 While this is a much sought-after trait with military personnel and law enforcement, this feature makes this blade unsuitable for a novice knife user as accidents are more prone to happen. The Spyderco C91SBK is a large knife for one’s pocket that features either a plain edge or Spyderco’s serrated edge known as a SpyderEdge. This knife is designed with the ability to be held, opened, and closed with either hand, making this ideal for people who are ambidextrous or simply left-handed. This is made even easier with the repositionable pocket clip. This knife is designed to be abused and neglected, too, which often happens when camping out in the backwoods for days on end. This knife will not rust, jam or dull which makes it essential for any camping trips you may be planning. This knife is made with the new super steel called H1. This steel will not rust as it does not use carbon to harden the knife, rather it uses nitrogen which allows the steel to reach the correct RC level while improving its versatility in areas where moisture is a problem and the large Spyderhole makes it even more versatile as it can be opened easily, even when wearing gloves. The blade is 4.875 inches long and the overall length is 8.687 inches. As this knife only weighs 3 ounces, it is light and of the proper size to become your favorite everyday carry knife. The Shun Classic knives are elegant pieces of cutlery that will look at home in any kitchen. This knife is designed with a VG-10 core and then 32 layers of Damascus steel are laid on top of that creating an intricate pattern and exceptional sharp knife. This knife does not take shortcuts and each step is meticulously monitored and evaluated. The Damascus steel helps to keep this knife stain free and it is less likely to retain smell or taste from any previous food preparation. The blade of this knife comes in either a 6-inch or a 10 inch blade as a reverse grip although Shun does make a point of saying that while most of their knives are shaped for a right handed user, many left handed people find them incredibly comfortable even though they are not specifically designed to be used in that hand. Regardless of what kind of knife you are looking at purchasing–whether it is a new chef’s knife or a EDC to take with you hunting–most knife makers will offer a left handed variety of their popular lines to ensure a customer’s needs are met. 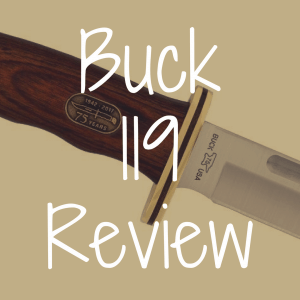 Reliable Knife is a great way for visitors like you to find helpful knife reviews that break down the pros and cons of each blade. Please bookmark our homepage and come back real soon! What’s the Best Cooking Knife?